-Improved ALL upgrades and ALL special powers. -Improved locomotor of almost all units, projectiles and missiles. -Almost the 80% of the skins are new. -Fixed a lot of vanilla bugs. -Improved camera height and zoom. -A lot of realistic changes (for example infantry bleed and die instantly if hit by a tank shell or a missile, renamed some units to match RL counterparts, ecc...). -Supply Docks, Supply Warehouse and Supply Piles contains more resources. -Supply boxes provide more money. -Oil Derrick provides 150$ every 8s, and a bonus of 1,500$ once captured. -Oil Refinery also provides 100$ every 14s, and a bonus of 500$ once captured. -Starting cash 20,000$ instead of 10,000$. -Improved AI (RVMECH’s – Almost Human AI v1.6 Scripts). -Improvement of water and terrain rendering. -Rebalanced superweapons and special powers timers. -Changed cost, creation time and sight range of units and buildings. -Added 6 new selectable colors in the skirmish menu. -Revisited ranks and sciences system. -Now you can guard selected units (following them) and structures, by targetting them with the guard cursor. -New sound effects and voices for UI, structures and units. -Units don't shot anymore on dying infantry (poisoned and burned). -Added a death weapon for some units and buildings. -Additional alternate death effects for most of the units. -Jets (when are out of ammos) lose 2% of health pt. per second instead of 10%. -Airfield heals parked jets by 5% of health pt. per second instead of 10%. -Supply Centers and Supply Stash provide 20$ every 7s. -Emergency Repairs heal building too. -Optimized the code: cleaned up, tweaked and improved a lot of stuff. -New Special Power: "Carpet Bomb" (select it from the Strategy Center). -New Unit: YF-23 Black Widow II. -New Upgrade: "Improved Payload", for the Comanche. -New Upgrade: "Improved Outer Tactical Vest", for Infantry. -New Upgrade: "Improved Hardware", for Patriot Missile System. -New Upgrade: "SR-X", for the Aurora. -New Upgrade: "Extra Fuel", for Jets. -New Upgrade: "Explosive Ammo", for Col. Burton. -New Upgrade: "Exoskeleton", for Infantry. -New Upgrade: "Impulse Apparatus", for Crusader. -Improved lifetime and power of the Particle Uplink Cannon beam. -Power Plant now generate 8 energy (+4). Vanilla was 5 (+5). -Chinooks collect 4 supply boxes (in less time) instead of 8 boxes, and take damage if they land on mines. -Department of Defense provides 60$ every 5s. -Col.Burton now has a grenade launcher ability. -Pilots can now climb cliffs. -Battledrone gets a laser weapon instead of a minigun. -Paladin's laser doesn't attack missiles anymore but now does with infantry and vehicles. -Stealth Fighter can tell if it has been locked by enemy units, and uses bombs instead of missiles. -Now Crusaders are double barreled tanks. -Tomahawk Launcher now fires 2 missiles and benefits from Composite Armor Upgrade too. -Improved Ambulance, in a small radius heals vehicles too. -Missile Defenders too can rappel down from the Chinooks. -Scaled down Supply Center, Warfactory, Power Plant and Airfield. -USA structures no longer autoheal. -New Special Power: "Tactical Toxic Nuke" (replace "Anthrax Bomb" which is now selectable from Palace after purcheasing the respective science). -New Special Power: "Terror Cell". -New Upgrade: "Corrosive Warhead", for Tunnel Defenders. -New Upgrade: "Antidote", for Infantry. -New Upgrade: "Reinforced Cargo Plates". -New Anthrax Bomb, mixed with acid, now have a corrosive effect. -Scud Storm missiles release a corrosive field upon detonation. -The Scorpion can be upgraded with salvage upgrade, and now has a rocket filled with acid. -"Camouflage" upgrade now affects RPG Troops too. -Improved Marauder salvage upgrades, now it's also able to move the turret. -"Toxin Shell" upgrade will provide acid tank shell for the Marauders. -Poison doesn't affect vehicles anymore, acid does. -JarmenKell detects stealth units in a small radius, plants bombs, climbs cliffs and swims. -Rocket Buggy starts with 8 missile instead of 6. -Scorpions fire by default tank shell that release toxins upon detonation. -Now stinger soldiers (those who stay inside the stinger site) gain experience. -Black Market gives 80$, instead of 20$, every 6s. -Changed "Buggy Ammo" upgrade into "Galvanized Layer". -Demo Traps release toxins upon detonation. -New Special Power: "Radioactive Strike" (select it from the Airfield after purcheasing the respective science). -New Special Ability: "Hack Satellite". -New Upgrade: "Tempered Plates", for the Battlemaster. -"Red Guard Training" is now "Red Army Training" and promote Tank Hunters too. -"EMP Pulse" special power converted in "Neutron Bomb". -Inferno Cannon has now triple barreled. -Tank Hunters now use kerosene missiles. -Vanilla MiGs are now MiGs-35. -Greatly improved the Nuclear Missile: it can wipe a greater area where not even the gla holes remain. -Improved "Artillery Barrage": now fires explosive shells, incendiary shells, nuclear shells. -Overlord is now a quad-barrels tank. -Battlemaster has now an additional anti-personnel cannon. -Bunkers contain 6 infantry instead of 5, it has also been scaled up. -Scaled down Supply Center, Supply Truck and Overlord. -Supply Trucks collect 6 boxes instead of 5. -Troop Crawler comes with a speaker tower, added also the assault command button. -Hacker gives you more money but they're harder to train. -Nerfed the healing ability of the propaganda messages. -Replaced the Gattling Cannon defence model with a fortified one, same goes for the Bunker's. -Propaganda Towers can be upgraded with Land Mines like all other Chinese structures. -Propaganda Center gives 40$ every 4s. -Changed "Chain Guns" upgrade into "Uranium Bullets". Year after year it's all always the same. We ask you to vote for our mods, some of you do, some of you don't, but it's usually one of the more famous mods that win eventually. That's right, we want everyone to vote for the greatest ZH mod there is! 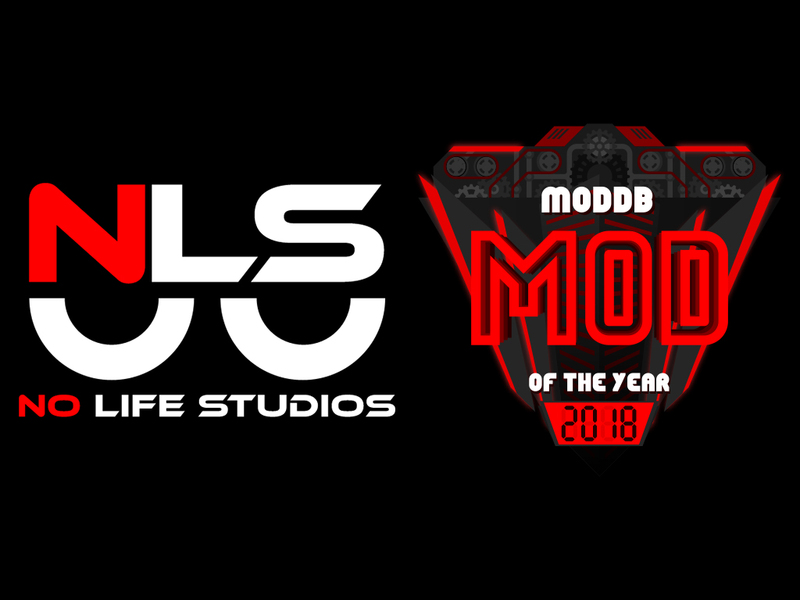 Of course your still welcome to vote for our other mods, but if you're sick of seeing the same front runners in MOTY every year same as us, then join us in our epic quest! Peace through Chaos! But "because it's funny" might not be enough reason for some of you. So I'll add another incentive. If Chaos mod wins MOTY, there will be a major NLS update! What's the update about, who knows? It could just be a really big update involving several NLS mods, or maybe, it could be, something people have been asking for for a very long time, like a revival of a certain mod that was only partially released and may or may not have an unhealthy relation to the letter X, again, who knows! is it 95% done or 99% done? so doing the math... 60% ready for the release. But the hard work is now behind my back: in comparison, the remaining total 40%, requires a tiny fraction of the time already passed. Well when there will already be released version 0.4 ? Assuming that more than 50% of the tasks on the to-do list for a release start going wrong, I'd predict that v0.4 will still be out before the first half of December ends. Otherwise, assuming everything goes perfectly fine or even better, a public download would end up being available around the ending of the second half of September. Mid-October would be a more realistic middle-ground estimation. Can't be more precise, I've already fu*ked up too much in the past with release dates. Thank you for the answer which pleases me . This is the best mod for Generals I've ever seen. We will wait for the release of version 0.4 and thank you for your work and for what is not abandoned .